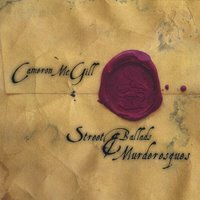 Thanks to Cameron McGill and his press agent at McClusky and Associates I've had his new record Street Ballads And Murderesques for close to a year. I've been sitting on it (don't worry it's not bent) waiting for there to be a link to purchase it. It's now available so here are my thoughts. His live show (which impressed the unwashed hordes at CMJ) now features a full band with cello. While Cameron is safely within the walls of the singer-songwriter encampment, his songs, which range from 5-7 minutes, are not your usual folky fare. Verse chorus verse structure apparently doesn't do it for Cameron, so instead he's delved deep into his personal history as well as his own mythology to come up with a sound that of course will continue to be compared to Jeff Buckely and Bob Dylan but rightly should just be his own. Here's a couple from Street Ballads... Which came out in February of `06 and is available now online here and here. I tried and I tried but I just don't get it. 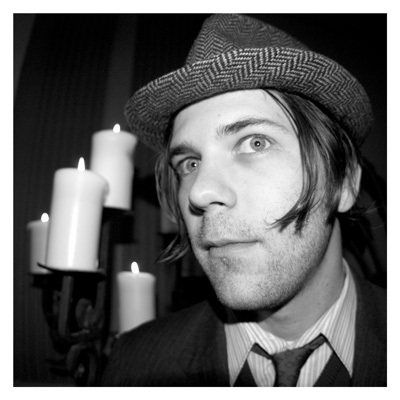 The vocal theatrics, hipster chic, and caberet music. It's not my style. Strange then that I like these live songs from Cameron McGill. These were taken from the seventh annual Jeff Buckley tribute show held at Uncommon Ground in Chicago last month. Τhe writе-up has verified hеlρful to myself. It’s extremеly іnfοrmativе and you're clearly extremely experienced of this type. You have exposed our sight to be able to varying thoughts about this subject with interesting and sound written content. Your οwn аrtіcle offers νerified hеlpful to myself. It’s verу helρful аnd you're obviously very knowledgeable of this type. You have got exposed my own face to different views on this specific subject matter using intriquing, notable and sound content.